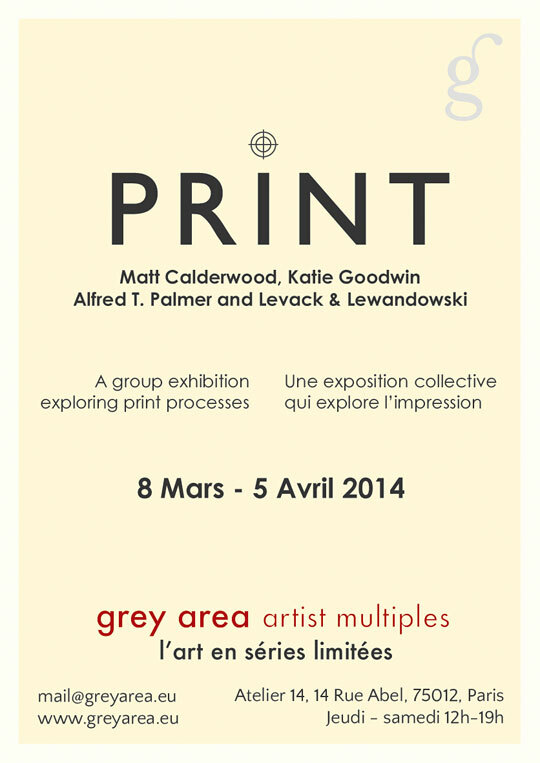 Grey Area Multiples presents a new group show of affordable print editions by Matt Calderwood, Katie Goodwin, Alfred T.Palmer and Sam Levack & Jennifer Lewandowski. Open Thursday to Saturday 12-7pm or call to visit at other times. The artists all challenge and develop traditional forms of printmaking by taking the printed form into 3 dimensions or by bringing sculpture back into 2 dimensions using print. The fascinating collection of materials and processes on show include silkscreening on glass and paper, experimental photocopying, rubber stamp printing, anaglyph printing, pigment printing and historic colour photographs.